With so many gyms popping up all over the place, it’s hard to know who has the best offer and what you’re actually getting for your money. The reality is, getting to the gym can be hard. And then once you’re there, it can be an uncomfortable environment for some. From daunting equipment to having strangers watch you. The whole experience can be demotivating at a time when you need it to be the most motivating. Many people ask our fitness professionals about equipment and when is the best time to buy. The answer is simple: now. Investing in your health and your family’s health shouldn’t be an uncomfortable one. If gyms aren’t your thing, having fitness equipment in your own home is the way to go. It offers so much convenience, versatility, privacy and security. Best of all, no need to share a stranger’s sweat! 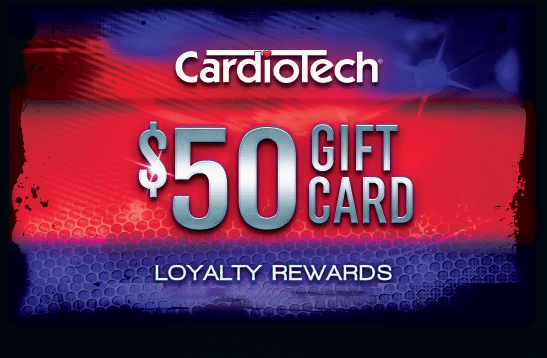 And to make it happen, CardioTech offer convenient payment plans so you get the benefits of using your equipment straight away, while paying it off with no interest ever. If you are gearing up for summer, why not consider a package deal like the ‘Beach Body Ready’. With the LifeBack vibration for rapid toning teamed with the BreakFree Treadmill for a cardio blast, you have your complete workout sorted! Did we mention the FREE Ab Trainer?? (Promotion is for a limited time only). CLICK HERE to find out more. If you are setting up your home gym, the X9AC is a powerful and clever treadmill. With club quality features like dual cushioning, Bluetooth connectivity, and so many programs, it’s no wonder this beauty has a best industry warranty rating. For a limited time, receive a $200 Lorna Jane gift voucher with your purchase. CLICK HERE to find out more. To check out more exclusive offers, visit our Promotions Page.